for a day, for a weekend, for the best time of your life. Vernon, located in the North Okanagan of BC; is set amongst valleys, mountains, rivers and three lakes  Okanagan, Swan and Kalamalka. 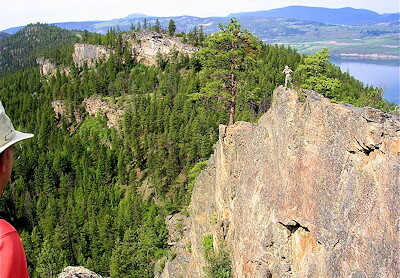 Combine this natural setting with wonderful Okanagan weather and the result is a very desirable year round destination. The secret to Vernons growing success is that more and more people are turning off the highway and discovering the wonderful experiences that Vernon offers. Vernon is an active community and most people live here because of the easy lifestyle that encourages everyone to get out and enjoy the surroundings. With over 100 lakes within 1 hour from downtown; you can boat, paddle, swim, fish or sail to your hearts content. Try your hand at standup paddle boarding on Kalamalka Lake or rent a boat, kayak or canoe to get a different perspective of the area. 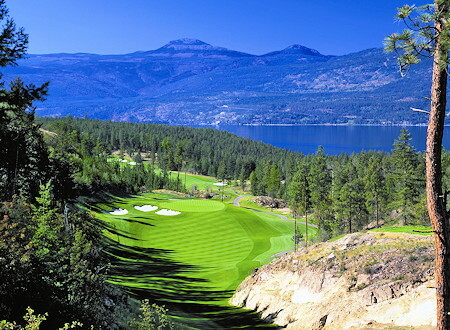 Golfers can test their skill Predator Ridge, Vernon Golf & Country Club or The Rise. 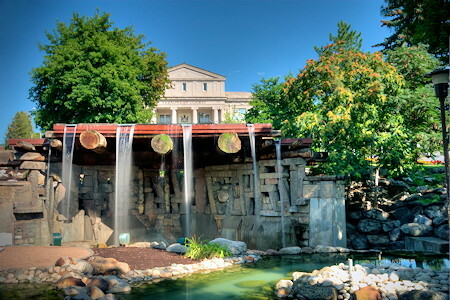 For those that want a quick game; there are numerous executive courses in the area as well. With 5 Provincial Parks adjacent to the community, there are endless opportunities to hike, mountain bike, camp and enjoy a little wilderness in a civilized setting. Silver Star Provincial Park is located just 20 km from downtown - home to Sovereign Lake Nordic Centre and Silver Star Mountain Resort. The Resort has a bike skills park and lift accessed mountain bike and hiking trails in summer and in winter downhill skiing, tobogganing, skating and Nordic skiing are available. 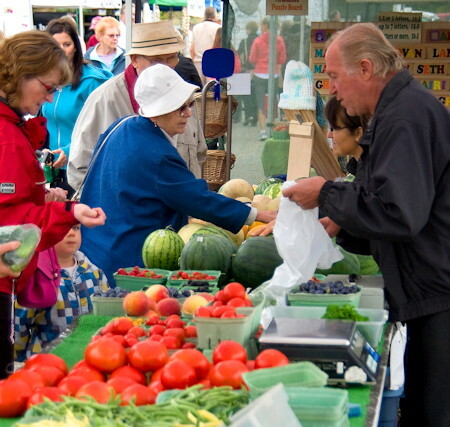 Vernons Farmers Markets take place three times a week from April to October so eating local is as easy as pie. With the agricultural bounty surrounding Vernon, many Vernon restaurants like ORA in the Prestige Hotel, Crush Bistro in our downtown or Peak Fine in the dazzling new Sparkling Hill Resort, showcase local food. 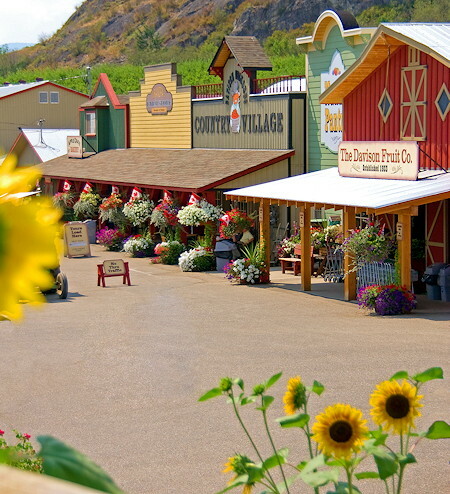 Davisons Orchards has been serving the community for over 60 years and a visit to their farm and market is always a must see when visiting Vernon. From fresh baked pies and preserves to their famous Applelanche frozen pure apple drink; Davisons is a wonderful place to spend an afternoon. Planet Bee is located next door to Davisons Orchards and offers many different flavours of local honey and other bee products. Visitors can view bees at work or spend some time looking for the queen bee in the glass hive while the beekeeper explains the importance of bees to our farms and orchards. New in 2011, is the meadery at Planet Bee where you can sample 4 new releases of their honey wines finished in off dry to dry styles. Okanagan Spirits produces international award winning fruit brandies all sourced and distilled locally and just released in August 2011 is their Gin made with juniper berry, rose petals, lemon balm and other ingredients that almost make it sound healthy! Okanagan Spirits also produces Canadas only Absinthe made in the traditional manner. The Allan Brooks Nature Centre and Okanagan Science Centre create wonder and awareness of the natural world and our local environment. Visit the Vernon Museum for a walk through our communitys history or take a Ghost Tour. 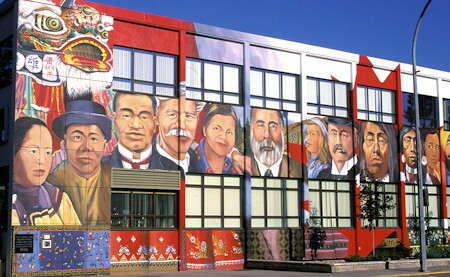 Michelle Loughery is the talent behind the Vernon murals that tell the story of the communitys early settlers and history. And while you are downtown, visit the many treasure box size stores. for the best time of your life!